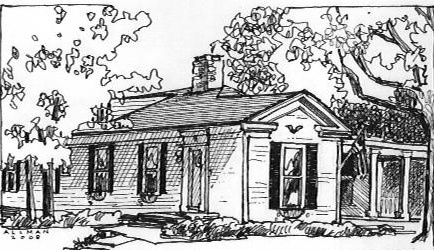 In the mid-1800’s, Medina was a stop on the Underground Railroad — a system of safe houses that gave shelter to runaway slaves on their arduous journey from the slave-holding South, across Ohio, to the safety of Canada. One of the local homes that had been a stop on the Underground Railroad was also a stop on the Medina YWCA’s 14th Annual Home Tour this past Sunday. The house, on the corner of E. Liberty St. and North Spring Grove, was built by an English immigrant named Thomas Miller in 1841. 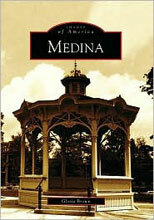 It had originally been located outside the village of Medina on ninety acres of farm land. Today, it is well within the city limits. The hiding places for fugitive slaves created by Thomas Miller remain intact. 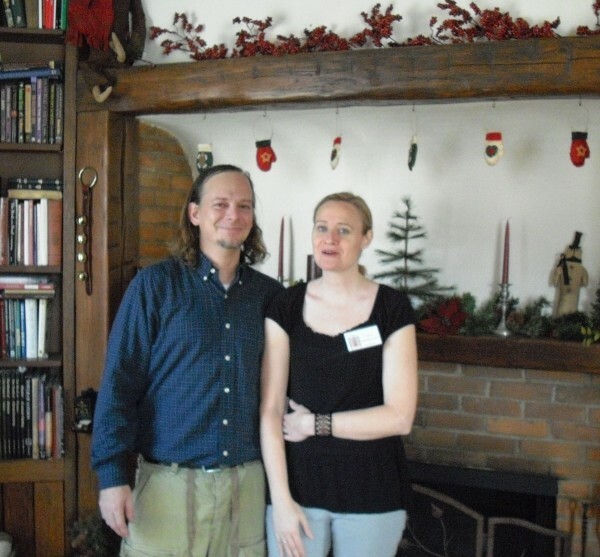 Current owner, Marc Milinkovich showed those areas to scores of intrigued visitors on Sunday, December 6. Slaves were once hidden behind this ordinary appearing fireplace. 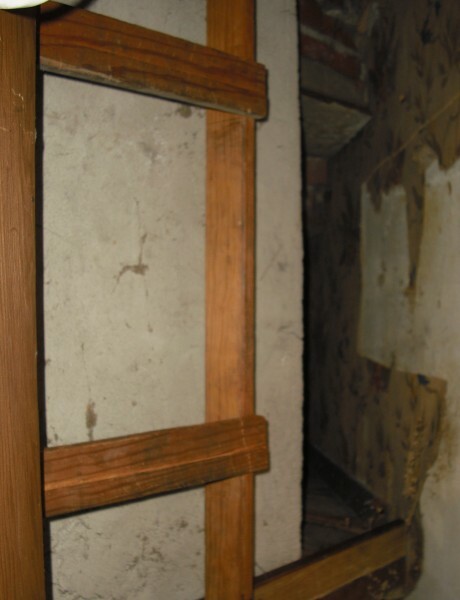 This is the entance to the area behind the fireplace. 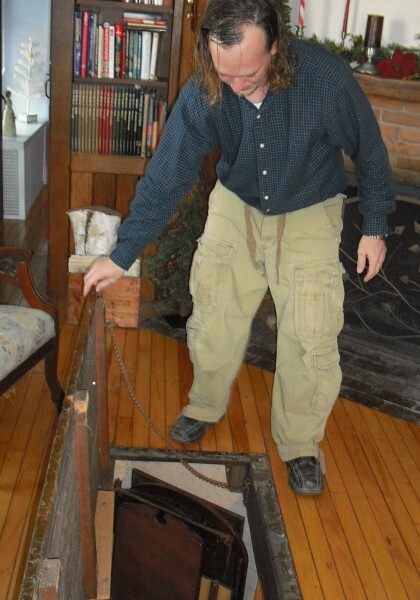 This trap door in the floor (originally hidden by rugs) was another way to whisk slaves to safety. The walk-out basement once led to a barn. 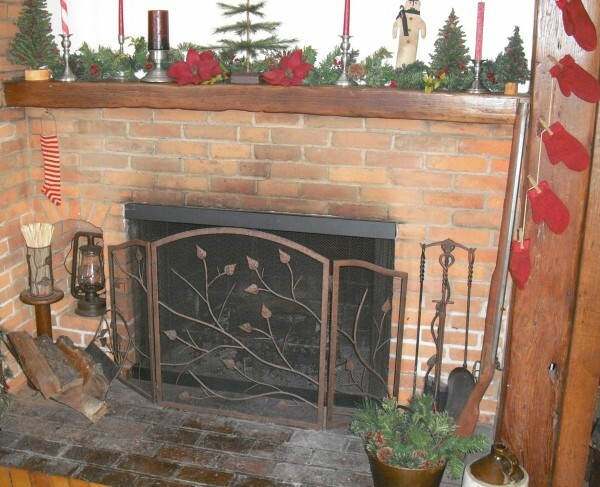 Marc and Tracy Milinkovich filled their home with Christmas decorations popular in the mid-1800's. 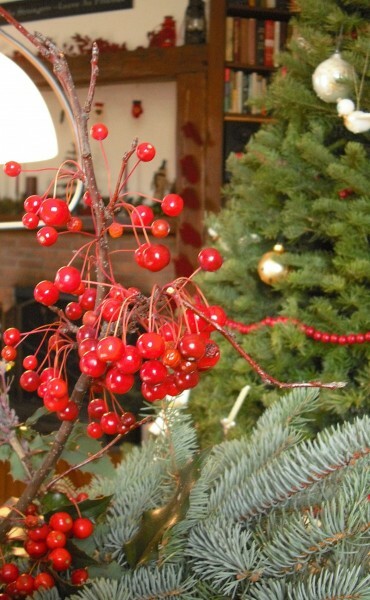 Berries and pine -- celebrating Christmas in 19th century style. I’m teaching a class to some homeschool students about the Underground Railroad in Ohio. We are a group of homeschool students living in Brunswick and I’d like them to understand more local Underground RR history. Is there anyway I can get in touch with this couple? Perhaps they could open up their home to our kids for a field trip? I would love for the kids to visit an actual Underground Railroad home just the next city over! Wow! Thanks. Its like you read my mind! You seem to understand a lot about this, such as you wrote the e-book in it or something. I feel that you just can do with some percent to power the message house a bit, but other than that, this is wonderful blog. A fantastic read. I will certainly be back. It is obvious that Representative Mecklenborg(with the help of Speaker Batchelder and his laerwys) are planning to enact the Austin Kearns defense(Austin Kearns is in the Indians OF, who is fighting his DUI by saying the state trooper in Kentucky was out of jurisdiction and no legal right to pull over Kearns).Regardless, how you spin this, the fact is that Mecklenborg could have KILLED someone by his reckless decision. Clen’s fat reducing properties initiate oxidation of such fatty acids and dissipate them into fibers that enter muscle cells. degrees of both male and female abusers. How could a law claim you can have something but can not buy it. That seems sort of odd. Thank you for the wonderful information on the Under Ground Railroad participation in Medina. The Heritage Farm in Brunswick is raising funds to bring /transport a 2 story log house from Newark Ohio that was a known part of the railroad. We hope to get it paid for and at least the pieces moved to the Farm for storage until funds are sufficient to plan a house raising. The house will then be used for teaching local history and the time period of the 1860’s. We hope to have school tours, cooking classes, and educational programming with the cabin. A people’s cabin to see how life was in the not so far past. often. More frequent updates will give your blog higher rank & authority in google.